If you have not used collections before you should just see a group called 'saved posts' which will have all your posts you've ever 'hearted' or 'saved'. Now this is all well and good but what if you want to go back and find that amazing recipe for coffee cupcakes (hehe) that you saw back at the start of the year? Will take you a while to trawl through all those style posts and 13 reasons why you should watch OITNB lists right? ANNOYING. 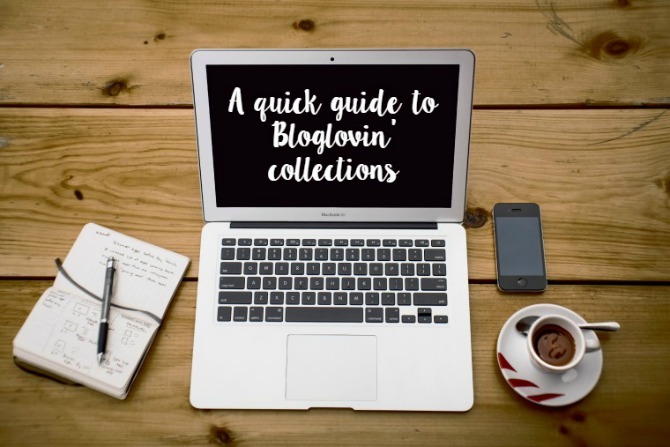 So Bloglovin' have gone and been all round good guys and created the Bloglovin' collections feature which allows you to create groups to save your favourite blog posts into. For example, my most used groups are 'Style', 'Travel' and 'Blogging'. This means that if I'm after a cheeky lil bit of style inspiration one morning I can just pop on over to Bloglovin' and browse through all my favourite style posts (before hopelessly failing to replicate them myself). It's basically a teeny (HUGE) bit of excitement for all those organised guys and gals out there who love to departmentalise their whole life.... i.e. me. It's also kinda like Pinterest I suppose with the different boards. Basically it makes it easier to sort through everything, keep it all pretty and even look for some inspiration when you're feeling a little blog down day. Now this is all well and fine, but what about those hundreds of posts you already have saved?? This is where it's a bit annoying though in Bloglovin's favour I actually can't think of much of a way around it... The only way I've come across to sort your old saved posts into collections is to go through them all on your saved posts page and save them again into collections. Which can take a pretty darn long time if you're an avid blog reader. I would also recommend doing it from the bottom up, otherwise you'll end up with posts from 2013 as your most recently saved. Like I did. Oops. Despite this little flaw, the Bloglovin' collections are really useful and I quite like just browsing through mine. They're great for inspiration and if you really like a blogger, their Bloglovin' person profile (rather than blog profile) might actually help you find some new favourite blogs which they like too! Basically it's good for having a little nosey... and while you're there you might actually discover that you quite like their blog too! Speaking of a nosey, let me know if you'd like to see a sneak peek into my Bloglovin' collections, which bloggers keep reappearing in which category and what are my favourite things to save! I hope some of you who saw the collections thing but haven't quite got round to using it yet might find this useful! And while we're on the topic of Bloglovin', you could perhaps give me a sneaky follow over there by clicking here! Have you used the collections feature yet? Do you like it? What are your most saved into collections? Hi Rhiannon! Ah so glad this post taught you something new! You're welcome! i didnt know you could do this on bloglovin. thanks for sharing your wisdom! Love this! I've been using the collections tool but not nearly as much as I should be! 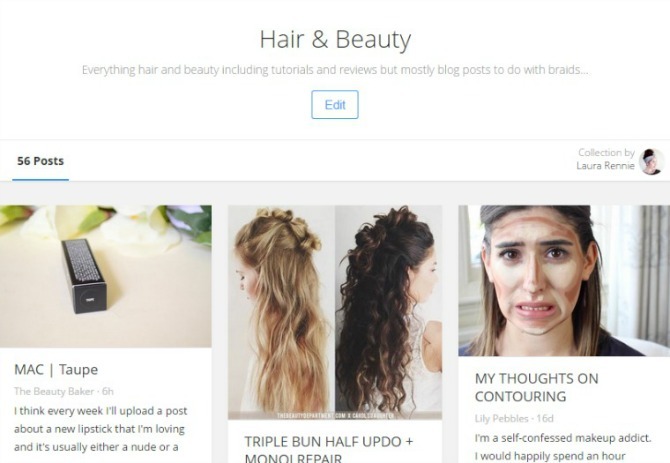 It's like pinterest but only for blog posts! It's wonderful! I accidentally added a post to the wrong collection. Is there any way to remove it once it's on there?